Those who are suffering from an allergic reaction to laundry detergent, this article will help them. Find out the symptoms of this allergy and how to solve it. To clean your clothes, bedding, and other washable fabrics, detergent are necessary. When you clean your clothes, unfortunately, your skin is very close contact with any residue left by detergents. These soaps may be one of the major causes of allergies for many people during the day and night. People are daily using detergent to clean clothes and cleaning purpose but they are not conscious about the side effect of detergent which actually causes allergies. Today I am going to discuss the Allergic Reaction to Laundry Detergent. Laundry detergents contain a variety of potentially irritating ingredients. Like most soaps, cleaners contain some type of surfactant or surfactant. Surfactants act by loosening dirt and oil particles and allowing them to be washed away. Harsh surfactants can irritate sensitive skin. 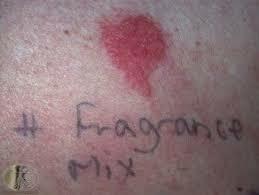 Artificial fragrances are another major class of chemicals that can cause skin rashes and allergies. Companies that manufacture laundry detergents often use proprietary blends of perfumes that make it difficult for customers to know exactly what they are. Other allergens commonly found in laundry detergents include Preservative, Enzymes, Parabens, Colours and Dyes, Moisturizing, Fabric softener, Thickeners and Solvents, Emulsifier. Allergies to mild allergens, such as allergens found in laundry detergents, usually develop slowly after repeated exposures. However, in the event of an allergic reaction, only a small amount of harmful substances required to produce a response. Contact dermatitis is a condition of the skin caused by something you touch, such as soap, plants, or metals. There are two types: irritant and allergic contact dermatitis. If you have irritant contact dermatitis, a rash may occur even if you are not allergic to anything in your laundry detergent. Irritant contact dermatitis is the most common form of a non-allergic rash. It occurs when an irritant material damages the skin's surface and causes an itchy rash. You may react after the first contact with cleaners or after repeated exposures. Allergic contact dermatitis occurs when you have an allergic reaction to a substance. When you have an allergic reaction, your body will have an immune response. Like all detergent components, metal lauryl salt removes oil from the skin and can cause eye and skin irritation. It has been shown that it can irritate the skin of the face and exposes to young people for a long time. 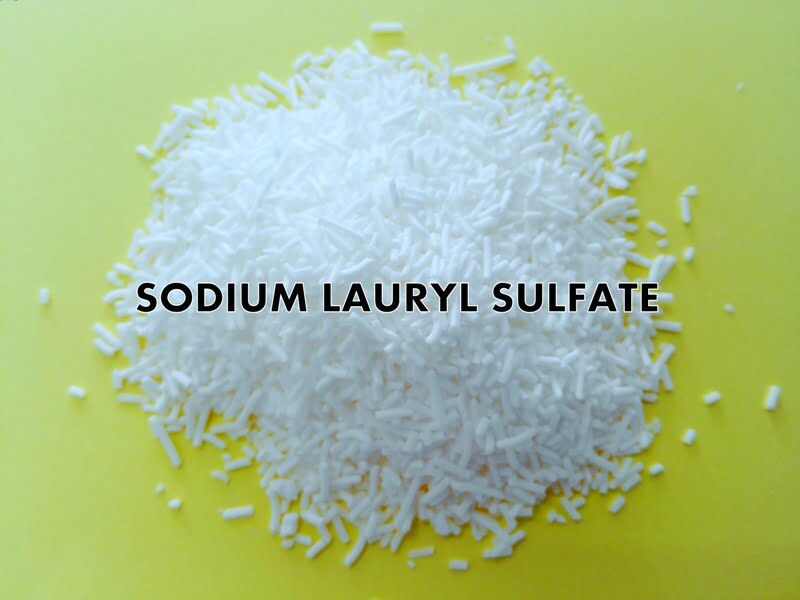 Sodium lauryl salt causes the skin problems of people with chronic skin allergies. And some people may be affected by others. Because the fragrance product does not specifically tell you what the specific ingredients are, many spices are a heavy allergic reaction. It is still one of the most common contact allergens in all soaps, even if it does not directly contribute to cleansing. People get allergic to coconuts with a little touch instead of taking allergies. In detergents, it is like Na lauryl salt and breaks down the oil on the skin. This square measure includes the recipe to help the product be cleaner. Examples include quaternium-15 (known as unharness gas, a famous carcinogen). Diethanolamine associated with skin and eye irritation and possible liver problems. Non-phenol ethoxylates or NPE toxic to nerves. Stimulates skin, potential endocrine disruptors. Linear free radical benzene sulfonate or LAS stimulates the eyes and skin. Benzene itself is a carcinogen. And petroleum fractions causing cancer and lung damage. These chemicals help stabilize the formula and keep it on the shelf for longer periods of time. Examples include polyalkylene compounds, eye-related olefin compounds and respiratory irritation, and even eczema. Bleaching agents can also be used alone or also in detergents. Irritating to the skin, lungs and eyes are the most famous once it is mixed with the sewer. It may affect organic compounds associated with metabolic problems, liver, and excretory organs and harm them. An uncomfortable rash. This rash usually includes dry, itchy and red skin. If the rash is more severe, the area will also swell. You will sneeze and itchy eyes. This reaction tells you that your allergies are more serious because it is caused by inhaling soap particles while breathing. The skin will heat a touch and also you will have blisters. This is the most extreme and most uncomfortable of the three symptoms. There are several things to note when looking at the ingredients in a detergent. In fact, there are 3 common allergens in many mixtures. Avoid contact with your skin by substances that cause the reaction. Apply an associate degree anti-itch paste or lotion to the affected space. An over-the-counter ointment containing at least one corticosteroid will relieve your itching momentarily. Taking over-the-counter anti-itchy medication may help. Application of wet, cold compression helps. Moisten the soft towels and apply them to the rash to soothe the skin for 15 minutes to half an hour. Repeat many times a day. Soak yourself in a cool bathroom. Sprinkle water with sodium bicarbonate or Aveeno or other oat-based bath products. Wear a smooth cotton cloth. This helps to avoid irritation. The use of adrenocortical steroid ointment to reduce the rash inflammation caused by detergent reactions. Relieve skin sensations and irritations with anti-itching courses. The best choice can also be changed into fragrance-free and dye-free detergents and fabric softeners. Chemicals used to color and color these detergents are harmful and may cause allergies. Using natural products can help reduce allergies caused by chemical reactions. Use natural products that do not cause allergies better. Stimulation of skin allergies and allergic reactions is naturally reduced by cold soaking and ice dressing. It is found that the usual stimulus will go with antibiotic cream jars. The application of topical antihistamine creams in the lake can relieve allergic symptoms. Sometimes nasal drops or sprays can be used for allergic diseases. Protect your hands with gloves and moisturizers. Reapply moisturizers throughout the day. And choose something that supports you to protect your hands. For example, if your hands are always wet, plastic gloves lined with cotton are also a viable option. An important thing is to wash your skin. If you wash your skin immediately after contact with the skin, you may take away most of the rash material. Use a mild fragrance-free soap and rinse thoroughly. I didn’t know that people had allergies to soaps. Just found out my Dad is allergic to washing soaps. He was in the hospital and I noticed a rash. Wow then I read this article and I shocked. Thank you very much for the information. Thanks for your visit! Hope you will get more health information in the upcoming days. Have a healthier life.